Source: Social Entrepreneurship Forum (http://www.seforum.sg/) in Singapore, also founded by young people dedicated to supporting the development of social entrepreneurship in the region; Edited by Dr KK Tse. Young people born after the 80s have become the talk of the town in Hong Kong. Please take a look at these two young social entrepreneurs and ask yourself: do you know of any young persons in Hong Kong doing equally amazing things? If you do, please let us know, we would like to feature them in these pages. Internet cafes and computer gaming centers line every major street in Bangkok. Thailand’s new generation of innovators is no strangers to Information & Communication Technology (ICT). What’s more, they are not satisfied in using these skills for just pursuing monetary returns. Social enterprises like Thoth Media and Chivalry Silk are examples of innovative social enterprises that are leveraging new online media in support of sustainable development. Media in Thailand has always been under strict censorship by the government as a preemptive attempt to controversial dialogue among citizens. As a result, the lack of outlets for free speech within Thailand has made it extremely difficult for the people to have open discussions on issues that directly affect them. Yet, to foster an open, educated and democratic society, access to such information is crucial as well as a strong creative problem solving mindset. With over 1,500 Thais graduating into the ICT profession every year, how can these valuable skills be put to use for Thailand? One answer lies with the young social entrepreneurs behind innovative social enterprise, Thoth Media. Thoth Media was created in 2006 by three friends with backgrounds in IT, who were greatly inspired by the widespread usage of social media in the developing world to engage people in entertaining, stimulating and informative discussions. The first of their many projects was Duocore.tv, which has grown to be one of the largest internet shows in Thailand with over 60,000 views a month on top of being aired by many satellite TV stations. Today, Thoth Media has succeeded in creating an interactive and engaging social media platform that provides a variety of media options to service the growing needs of citizen journalists, non-profit organizations as well as other social enterprises. For example, Thoth Media provides the technical expertise and support to build a new citizen participation function to the current Prime Minister’s website. 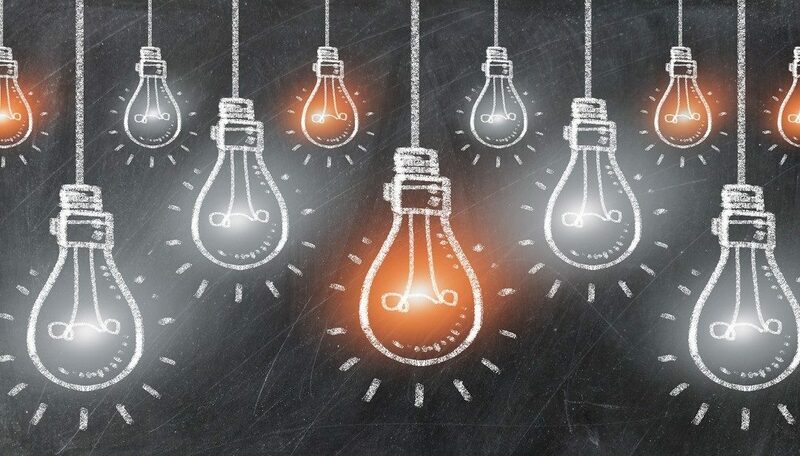 This medium allows the public to ask questions and come up with creative solutions to problems that they can share and further develop on the website. The public can “vote up” the questions and the Prime Minister will answer the top voted questions in his weekly address. To date, this page has had more than 600,000 views, over 10,000 website members, 8,500 questions posted and 15,000 votes collected. This platform allows citizens to report, discuss, create and engage in valuable discussions through the use of technology. And by fostering a populous and sprawling online community where citizens have the power to contribute to important discussions, Thoth Media is, in turn, encouraging an online Internet culture that is important for a healthy, informed and free society. Through this form of de-centralized media, the Thais can bypass many censorship obstacles as content is uploaded directly to the Internet, where it can be accessed from many different sources from throughout the virtual world. This is much more difficult to censor –- once a campaign goes “virtual”, it is almost impossible to contain. The social enterprise aims not only to encourage the open sharing of knowledge, but also to promote free speech, health, human rights, and the growth of a new industry that can employ Thai people that will allow them to join the ranks of a novel class of workers. Another social enterprise that makes good use of technology is Chivalry Silk. Early 2007, Thepparat “Ongchun” Tantikalayaporn, a young Thai university student was given a memorable gift from one of her closest friends. The gift was a piece of traditionally woven Thai silk artwork made from the cocoons of some of the finest silkworms in the world. The quality and attention to detail was only made possible through the tedious and dedicated craftsmanship of the Thai silk weavers. It took an entire day to produce about one meter of this type of silk. Ongchun left for the Northern Thailand village of Chiang Mai where she dedicated herself to learning the silk making process – from growing the mulberry-like plants that feed the silk worms all the way to the final stages of hand weaving – with the hopes of better understanding the Thai culture and tradition. During this time, Ongchun learned that traditional silk manufacturing was disappearing from the rural areas of Thailand simply because the price of traditional handmade silk could not compete with cheaper, industrialized silk. Due to the lack of access to markets, many of the rural artisans are forced to abandon their craft and leave their villages for the big cities in search of work. This not only contributes to overpopulation in the cities, but is also a threat to the traditional family unit. The problem of seasonal work coupled with the lack of access to external markets seriously impedes this industry from developing. Armed with the understanding of the story behind her cherished gift, Ongchun set up her own social enterprise, Chivalry Silk, to help solve this problem. “I really wanted to do something to solve the problems I saw in the Thai silk industry. I wanted to find a way to bring back the profits that were made through selling Thai silk back to the community who produced it,” recalled Ongchun. “I also wanted to do away with the middlemen who were taking advantage of the people in the villages by taking all of the profits. Chivalry Silk merges fair trade, cultural preservation, and community empowerment by sourcing their silk material from rural weavers, who are otherwise unconnected to the global market, then selling the material mainly through an e-commerce portal. The money earned through the e-commerce portal is channeled back to the weavers themselves, unlike factory-based weavers who get only a mediocre share of the profits for their labour. Besides the e-commerce portal, Chivalry Silk employs an online merchandising model that allows it to take full advantage of the tools the Internet offers for global outreach. With nearly a third of its export & merchandising model coming from the Internet, it is the glue that binds all of the pieces together. 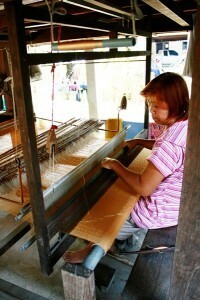 These online channels – including a B2B and B2C online e-marketplace, third party seller stores such as eBay, Etsy.com and Elevyn.com, live customer support services and a comprehensive website – not only provides access to the product, but also includes a comprehensive explanation of the product heritage, cultural importance and the evolution of the Thai silk industry. In addition, Chivalry Silk is actively engaged in raising awareness and business through related forums, blogs, Google groups, buyers’ guides and discussion groups, which gives a boost to their search engine optimization. Chivalry Silk appears on the first page of Google search results for a variety of important search terms such as “quality Thai silk”, “hand woven Thai silk” and “silk product”. This, in turn, translates to consumer awareness and in turn, strong sales. On top of reaching consumers, ICT is also used to connect the vast web of players that Chivalry Silk has weaved into their business models. The ability to use online channels to connect with fashion designers, overseas importers, online trade shows, interior designers, retail stores and more has facilitated the global expansion of the business. At present, Chivalry Silk has helped to improve the standard of living for nearly 30,000 people throughout the supply chain of the Northern Thailand silk industry by connecting them with socially conscious consumer markets and marketing the ethnic product.